The two Books of Kings (Hebrew: ספר מלכים‎‎ Sepher M'lakhim – the two books were originally one) present a history of ancient Israel and Judah from the death of David to the release of his successor Jehoiachin from imprisonment in Babylon, a period of some 400 years (c. 960 – c. 560 BCE). 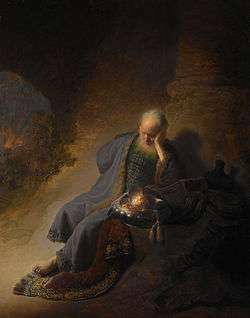 It concludes a series of books running from Joshua through Judges and Samuel, which make up the section of the Hebrew Bible called the Former Prophets; this series is also often referred to as the Deuteronomistic history, a body of writing which scholars believe was written to provide a theological explanation for the destruction of the Jewish kingdom by Babylon in 586 BCE and a foundation for a return from exile. Hezekiah, the 14th king of Judah, "did what was right in the eyes of the Lord" and institutes a far reaching religious reform, centralising sacrifice at the temple at Jerusalem and destroying the images of other gods. Yahweh saves Jerusalem and the kingdom from an invasion by Assyria. But Manasseh, the next king, reverses the reforms, and God announces that he will destroy Jerusalem because of this apostasy by the king. 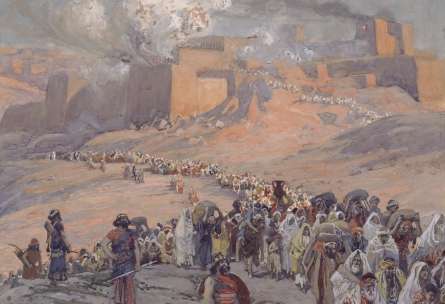 Manasseh's righteous grandson Josiah reinstitutes the reforms of Hezekiah, but it is too late: God, speaking through the prophetess Huldah, affirms that Jerusalem is to be destroyed. Then, what it is now commonly known as 1 Samuel and 2 Samuel are called by the Vulgate, in imitation of the Septuagint, 1 Kings and 2 Kings respectively. 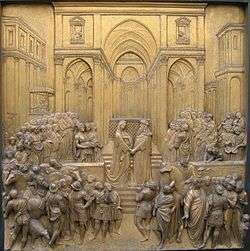 What it is now commonly known as 1 Kings and 2 Kings would be 3 Kings and 4 Kings in old Bibles before the year 1516 such as the Vulgate and the Septuagint respectively. The division we know today, used by Protestant Bibles and adopted by Catholics, came into use in 1517. Some Bibles still preserve the old denomination, for example, Douay Rheims bible. According to Jewish tradition the author of Kings was Jeremiah, who would have been alive during the fall of Jerusalem in 586 BCE. The most common view today accepts Martin Noth's thesis that Kings concludes a unified series of books which reflect the language and theology of the Book of Deuteronomy, and which biblical scholars therefore call the Deuteronomistic history. 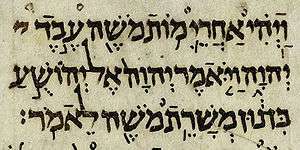 Noth argued that the History was the work of a single individual living in the 6th century BCE, but scholars today tend to treat it as made up of at least two layers, a first edition from the time of Josiah (late 7th century BCE), promoting Josiah's religious reforms and the need for repentance, and (2) a second and final edition from the mid 6th century BCE. Further levels of editing have also been proposed, including: a late 8th century BCE edition pointing to Hezekiah of Judah as the model for kingship; an earlier 8th century BCE version with a similar message but identifying Jehu of Israel as the ideal king; and an even earlier version promoting the House of David as the key to national well-being. According to Richard D. Nelson, Kings is "history-like," but it mixes legends, folktales, miracle stories and "fictional constructions" in with the annals, and its primary explanation for all that happens is God's offended sense of what is right; it is therefore more fruitful to read it as theological literature in the form of history. The theological bias is seen in the way it judges each king of Israel on the basis of whether he recognises the authority of the Temple in Jerusalem (none do, and therefore all are "evil"), and each king of Judah on the basis of whether he destroys the "high places" (rivals to the Temple in Jerusalem); it gives only passing mention to important and successful kings like Omri and Jeroboam II and totally ignores one of the most significant events in ancient Israel's history, the battle of Qarqar. 2 Chronicles covers much the same time-period as Kings, but it ignores the northern Kingdom of Israel almost completely, David is given a major role in planning the Temple, Hezekiah is given a much more far-reaching program of reform, and Manasseh of Judah is given an opportunity to repent of his sins, apparently to account for his long reign. It is usually assumed that the author of Chronicles used Kings as a source and re-wrote history as he would have liked it to have been. Fretheim, Terence E (1997). First and Second Kings. Westminster John Knox Press. ISBN 978-0-664-25565-7. Nelson, Richard Donald (1987). First and Second Kings. Westminster John Knox Press. ISBN 978-0-664-22084-6. Sweeney, Marvin (2007). I&II Kings: A Commentary. Westminster John Knox Press. ISBN 978-0-664-22084-6. Knight, Douglas A (1991). "Sources". In Watson E. Mills; Roger Aubrey Bullard. Mercer Dictionary of the Bible. Mercer University Press. ISBN 978-0-86554-373-7. Leuchter, Mark; Adam, Klaus-Peter (2010). "Introduction". In Mark Leuchter; Klaus-Peter Adam; Karl-Peter Adam. Soundings in Kings: Perspectives and Methods in Contemporary Scholarship. Fortress Press. ISBN 978-1-4514-1263-5. Moore, Megan Bishop; Kelle, Brad E (2011). 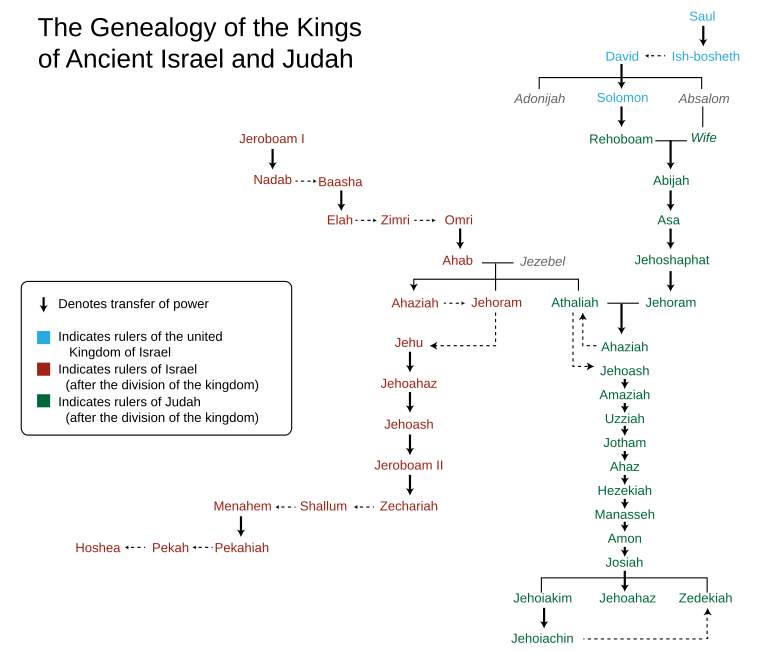 Biblical History and Israel's Past: The Changing Study of the Bible and History. Eerdmans. ISBN 978-0-8028-6260-0. McKenzie, Steven L (1994). "The Books of Kings". In Steven L. McKenzie; Matt Patrick Graham. The History of Israel's Traditions: The Heritage of Martin Noth. Sheffield Academic Press. ISBN 978-0-567-23035-5. Sutherland, Ray (1991). "Kings, Books of, First and Second". In Watson E. Mills; Roger Aubrey Bullard. Mercer Dictionary of the Bible. Mercer University Press. ISBN 978-0-86554-373-7. Tomes, Roger (2003). "1 and 2 Kings". In James D. G. Dunn; John William Rogerson. Eerdmans commentary on the Bible. Eerdmans. ISBN 978-0-8028-3711-0. Wilson, Robert R (1995). "The Former Prophets: Reading the Books of Kings". In James Luther Mays; David L. Petersen; Kent Harold Richards. Old Testament Interpretation: Past, Present and Future: Essays in honor of Gene M. Tucker. Continuum International Publishing Group. ISBN 978-0-567-29289-6. Herbermann, Charles, ed. (1913). "First and Second Books of Kings". Catholic Encyclopedia. New York: Robert Appleton Company. Herbermann, Charles, ed. (1913). "Third and Fourth Books of Kings". Catholic Encyclopedia. New York: Robert Appleton Company.